It's been some time since I've posted anything. Actually, I got busy with some other project, I'm working upon. You can also consider me lazy enough to skip writing posts for the blog. Whatever it is, my gardening adventures don't ever stop. I'm in for something or the other, where my gardening adventures are concerned. 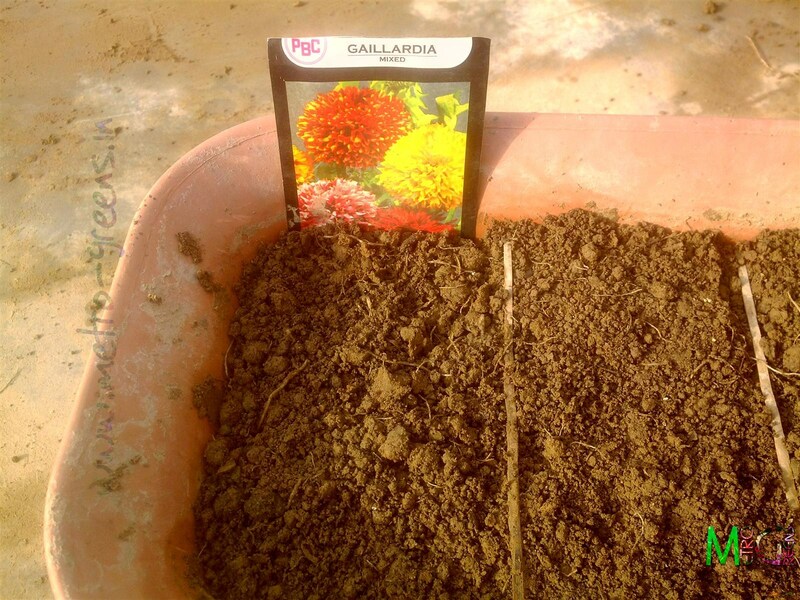 This Sunday, I planned on to finally sow some Zinnia, Balsam, Gaillardia and Hybrid Vinca seeds in one of the pots lying around. The rest of the adventure goes in the pictures below. 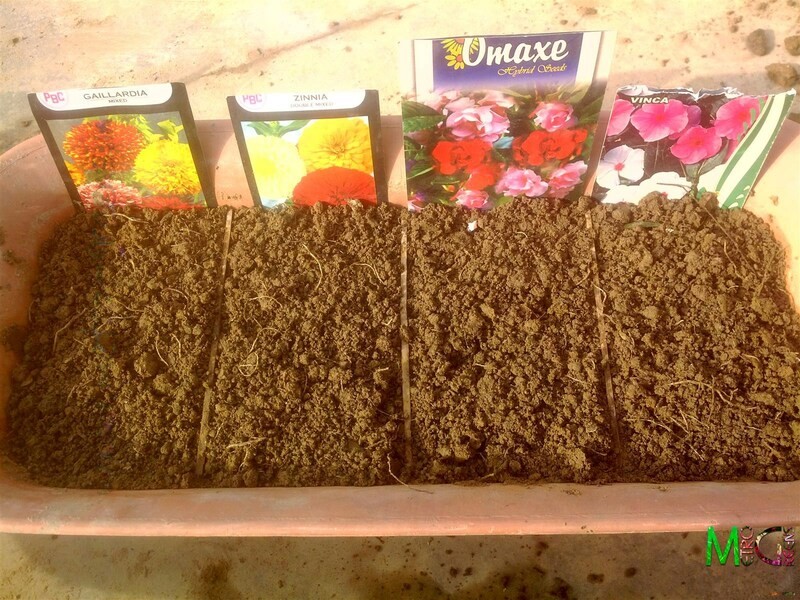 First and foremost task - make the potted soil ready for sowing the seeds. 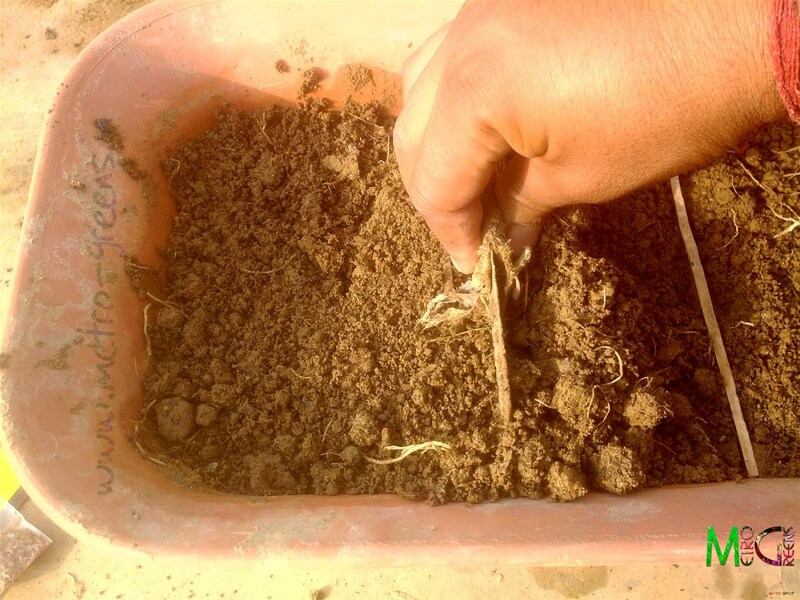 You need to have some moist soil (moist, not wet). If the need be, water the soil the overnight for the pot to be able to drain out the excess of water, thus making it suitably moist for sowing the seeds. The pot I am using here is a long (rectangular) plastic pot that measures 18x12 inch. 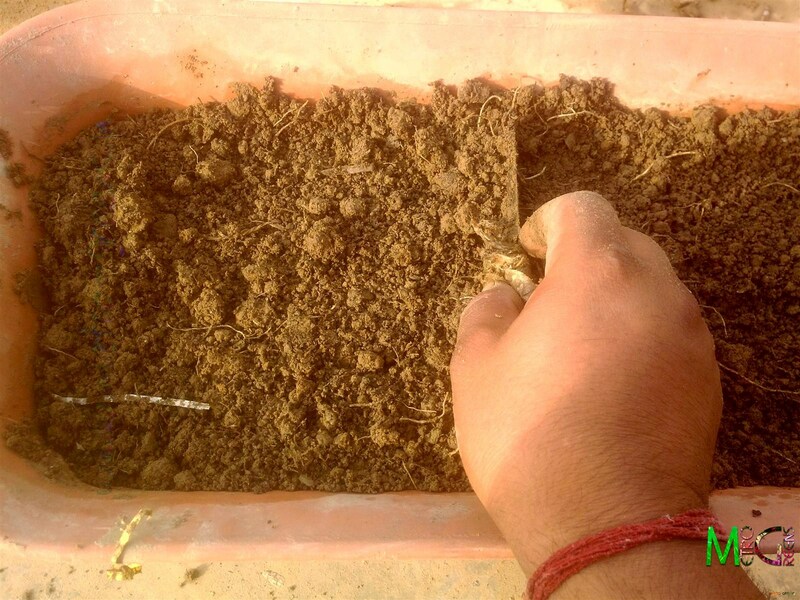 Digging out the soil to loosen it enough to sow the seeds and also to remove unwanted stuff from it. 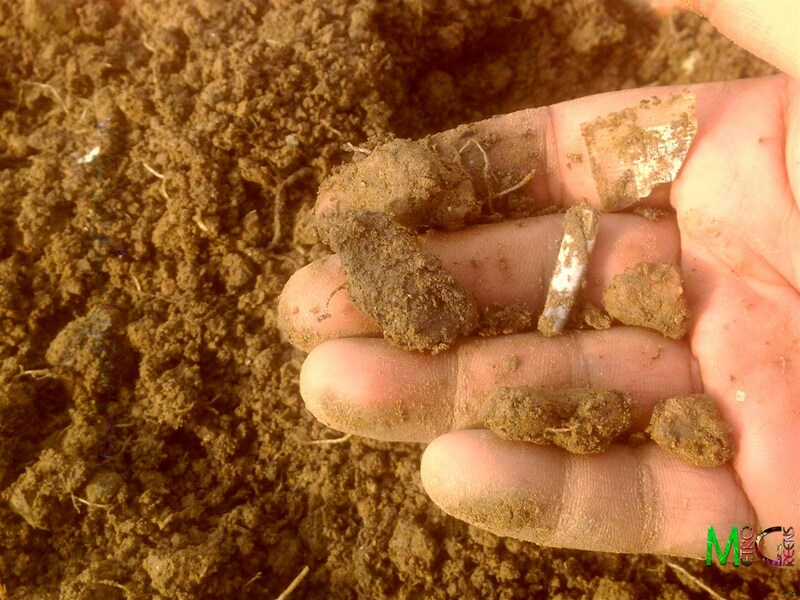 Pick up the unwanted stuff, in the form of pebbles, small stones and other stuff, which we usually find in soils. 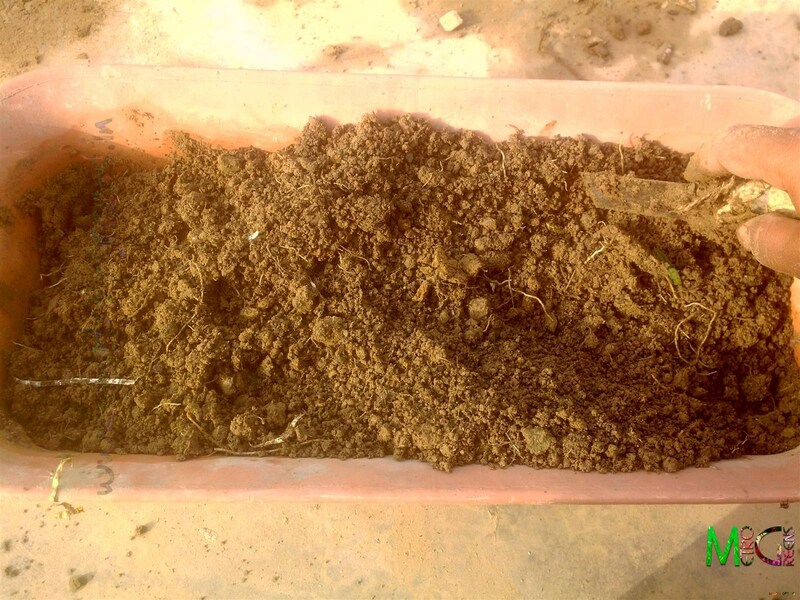 The potted soil, dug and loosened. 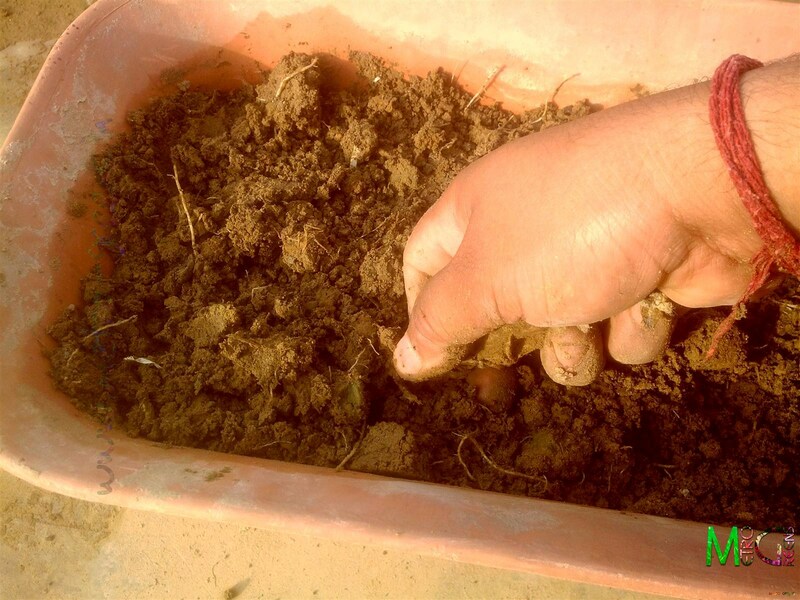 Once done, level out the soil in the pot using some tool, or even your hands would suffice. Be careful to work with light hands, and not to compress the soil. It'll get hardened again. Dividing the pot into compartments to sow different seeds. I decided to put up some sticks (to be used as dividers for the four different seeds). It'll help me clearly ascertain, to which seed the seedlings belonged to. The seeds to be sown. 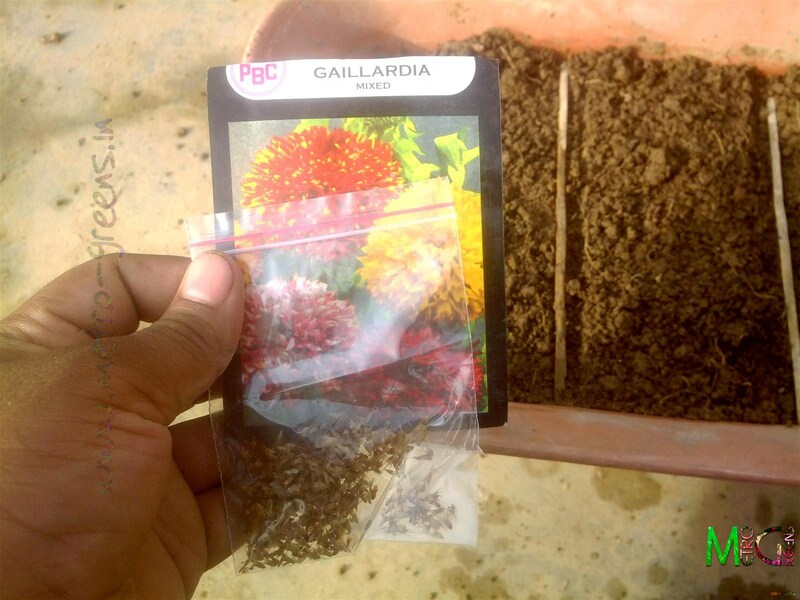 Preparing the soil to sow the seeds. All seeds sown and it's done for now. Will have to wait for the seeds to germinate. Once I put all the seeds in place, I tucked up the emptied, pictorial seed packets alongside the seeds, in case, I ever forgot which seed I sowed in which compartment. Once done, I shifted the pot to some place, in shade, where there isn't direct sunlight, but the seeds still got some light to help them germinate. 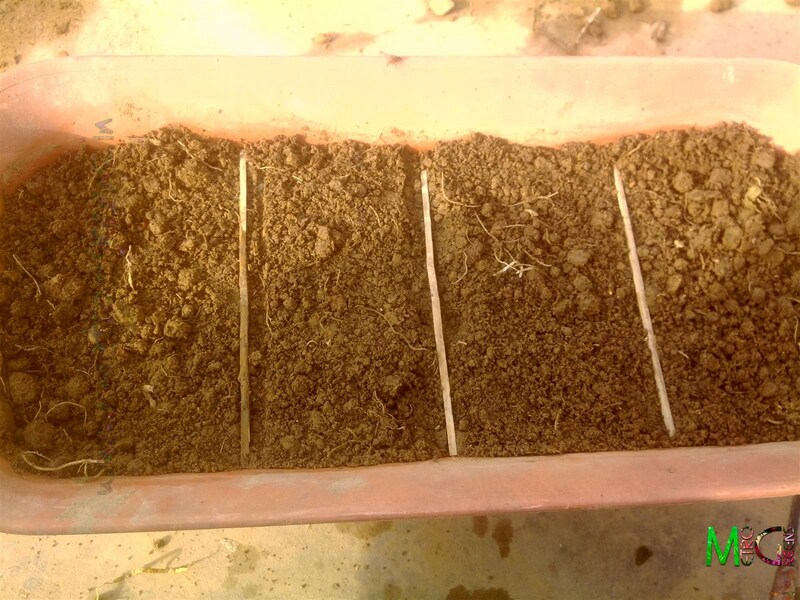 Now, I have to keep my fingers crossed and wait for a few days, to know whether the seeds germinate, or I have to get the saplings from the nearby nursery, in order to enjoy the blooms in monsoons. 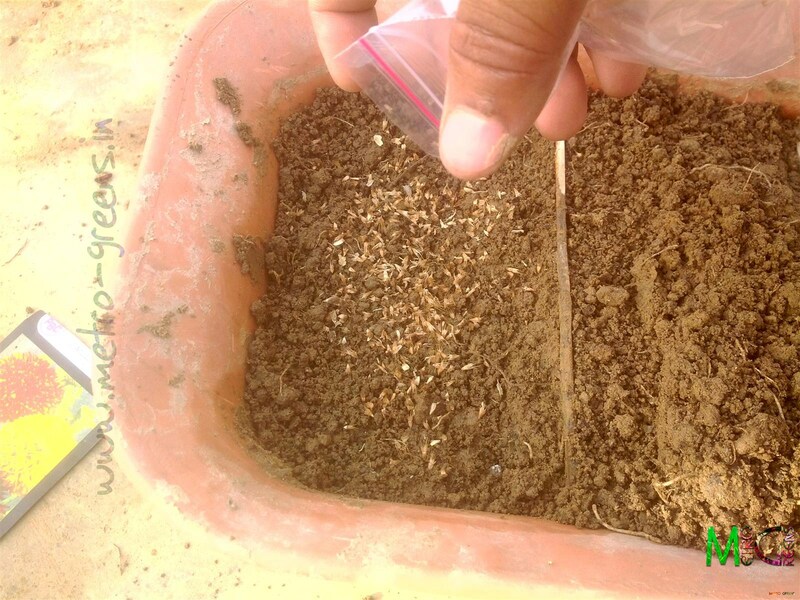 I'll keep my fingers crossed for the seeds to germinate, and live on to bloom in the upcoming monsoon season. Till then, keep trying and HAPPY GARDENING!